Recently we visited an upcoming vibrant sustainable and integrated development at Radia Bukit Jelutong in conjunction with their Chinese New Year 2017 celebration. It was a fun-filled Moment of Wonders celebration and the same time we get an overview of this development. Radia will certainly transform Bukit Jelutong township into a sustainable, integrated and transit-orientated township development with its residences, office and retail. One of the plus points is that connectivity will not be an issue, with the development being served by the Guthrie Corridor Expressway, North Klang Valley Expressway (NKVE), Federal Highway and the North-South Expressway Central Link (ELITE). Radia Bukit Jelutong is a joint development from two of our country’s premier developers such as Sime Darby Property and UEM Sunrise entered into a 50:50 partnership to develop the area. 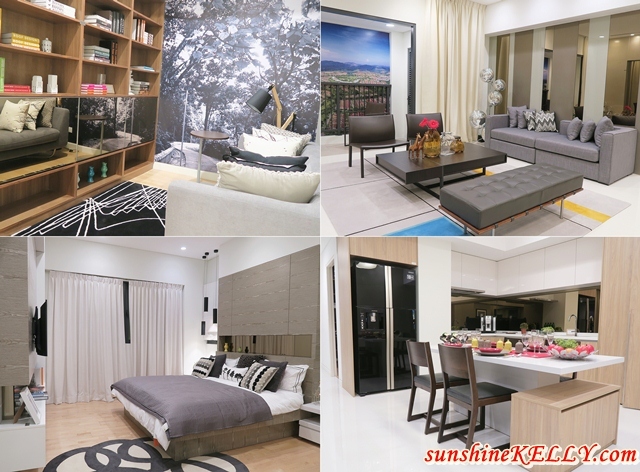 Having united to create the timeless Radia, Bukit Jelutong, Sime Darby Sunrise Development (SDSD) is banking on Bukit Jelutong’s strong growth and maturity as a city with its own identity. 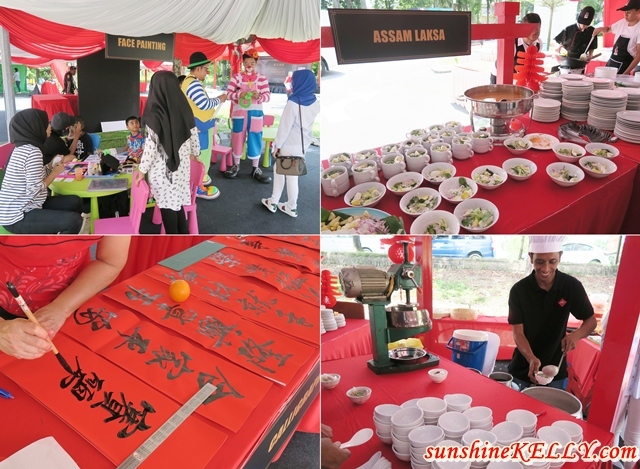 Here were some the fun at Radia Bukit Jelutong Chinese New Year celebrations. The auspicious day kicked start with vibrant lion dance. We also get to personalize our recycle woven bag at the green screen photobooth. There are lots of activities and hawker food fare. The inspiration for Radia was derived from Mediterranean and Asian influences, in order to create a fusion of styles that would make Radia stand out. The design of Radia was inspired by the ‘fauborg’- an ancient French term that means ‘suburb’ in English. The idea was to create a sense of spaciousness in the design and development of the area, as this was a key priority in the conceptualization and design of Radia. The Radia Residences with the built-up area ranging from 695 sqft to 2,126 sqft has come with a 24-hour security with access card system and CCTV surveillance for the resident feel secured and safe. 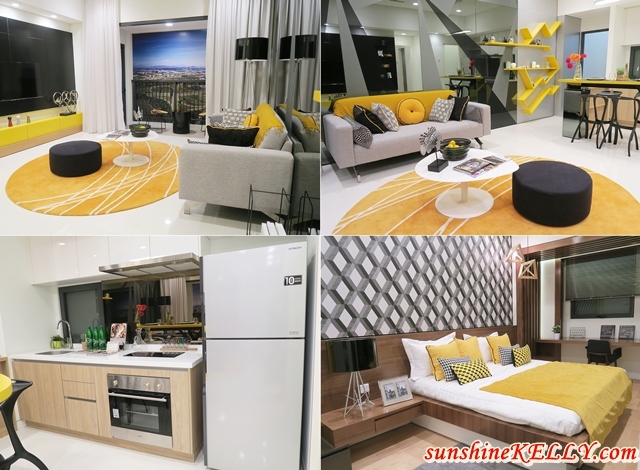 Price range from RM507,000 onwards (RM710 per square feet). To be different than the other developers, Radia which will have a four-acre facilities deck, featuring themed gardens, spa pools, jogging track and koi ponds, will give a different feel that can be found all under one roof. Sleek modernity is softened by luxuriant greenery and lush landscaping, giving you the perfect retreat to relax and unwind. It is part of a truly green township with energy-efficient lighting for common areas, water-efficient fittings, and rainwater harvesting systems. In particular, the retail component of the development, Radia Retail is set to comprise 152 one, two and three-storey units with a built-up area ranging from 376 sq ft to 2779 sq ft. Pricing for these outlets start from RM966000 onwards. The 17-feet long pedestrian walkway and ample parking lots will ensure that there is ample space for customers. The office component of Radia development, Radia Offices, will also feature 238 units of office blocks housed in two 10-storey development blocks. There is also an abundance of choice for prospective companies with lots ranging from 825 square feet to 2,001 square feet. Overall, Radia Bukit Jelutong development is growing rapidly and built with sustainability. It is surrounded with greenery and relaxing ambience for living, work and business. The area is easily accessible to many highways. Radia is a prime to build businesses in an up and coming township in the Greater Klang Valley region. Real estate is getting better and better here in Asia, especially after the Brexit and now the US catastrophe. Asia is the new West! One of my favourite things to do is to visit show units. I love interior decoration and what better way to do than to have an insight into houses that have already been decorated. I get plenty of inspiration from there. I have not heard of Radia before, will check it out. Thanks for alerting.